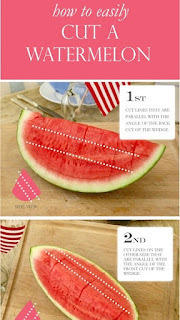 I used to do a lot of watermelon skewers when I was a caterer. Watermelon and cherry tomatoes drizzled with balsamic skewers, watermelon, strawberry & blue berry skewers, etc. 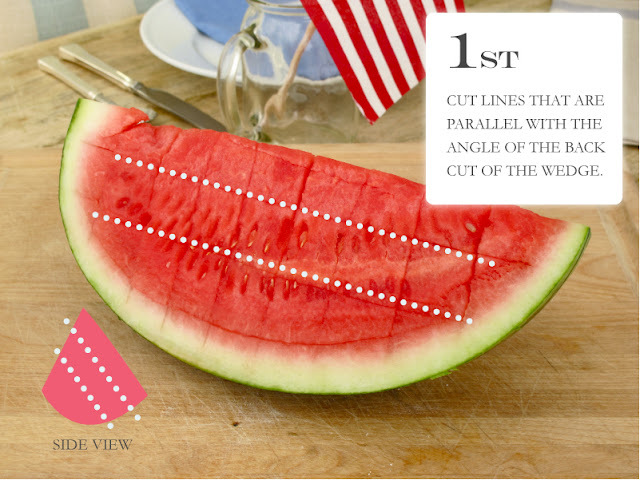 All of these variations had one thing in common, how do I cut this giant watermelon into perfect cubes without making a mess... in someone else's fancy kitchen? I find that "cubing" the watermelon is the easiest way to serve watermelon to my children. I keep it in a big plastic container with a lid, in the refrigerator, and they just help themselves. 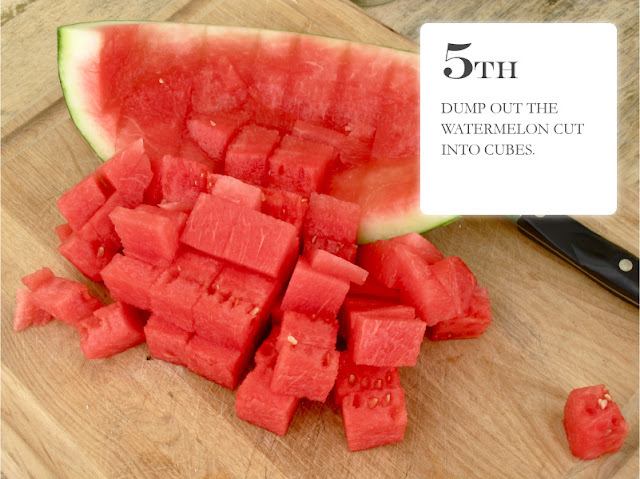 Also helps conserve space--those big guys take up a lot of room in the fridge. This is the BEST! 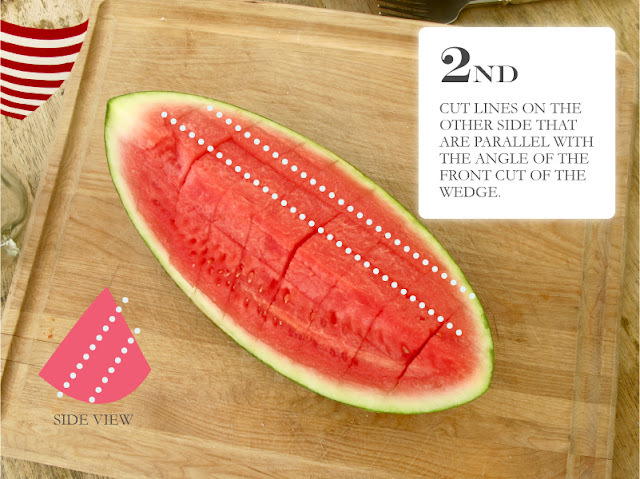 There have been many times when I've passed on buying a watermelon because I hate cutting it, but this is SO easy that it makes me want to buy it all the time! Life changing! lol. Thanks for posting!